I love adjustable waists. Why? Two reasons. First - I can make the clothes last longer...children grow like weeds! 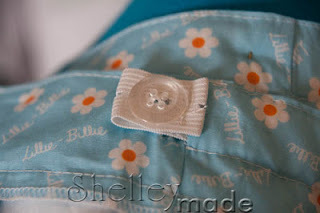 Second - I make clothes for kiddies like my gorgeous little nieces that live a long way away... I'm never sure of their measurements - so this takes the guessing out of it. So, a quick how-to for you! 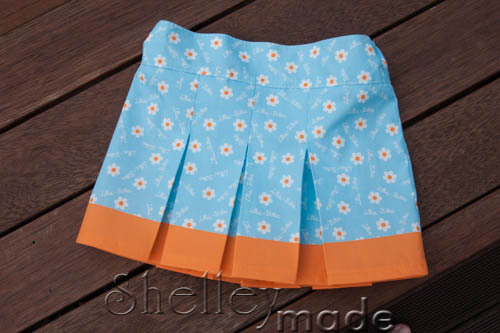 This tutorial will explain how to convert a regular skirt (or pants for that matter, now that I think about it) pattern, into one using buttonhole elastic. It's really very easy. 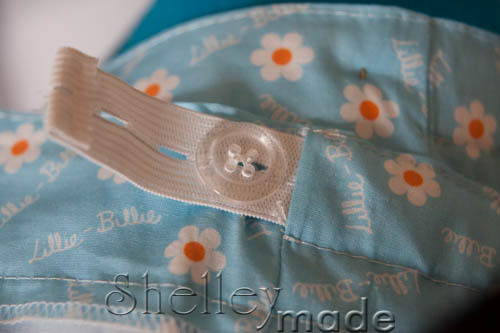 Follow your instructions until it comes time to sew your waistband piece sides together. 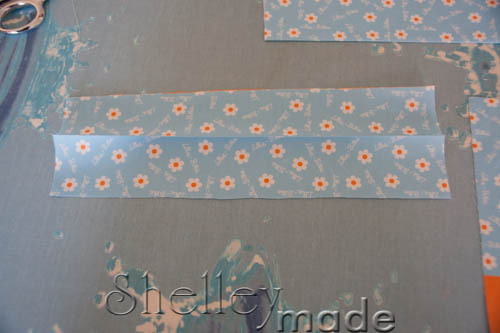 Take each piece - fold it in half lengthways - and give it good press to create a nice crease. The crease is going to be the top of your finished waistband. 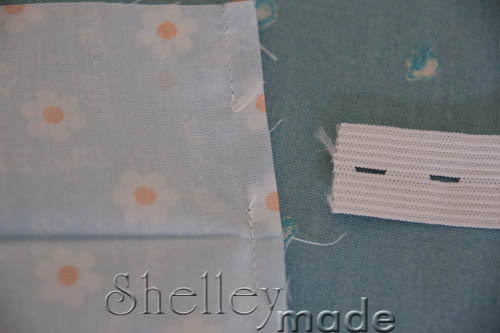 Place the two pieces right sides together, and you are going to sew as per the instructions - EXCEPT - we will leave a gap for the elastic to thread through, near the top of the inside of the waistband. 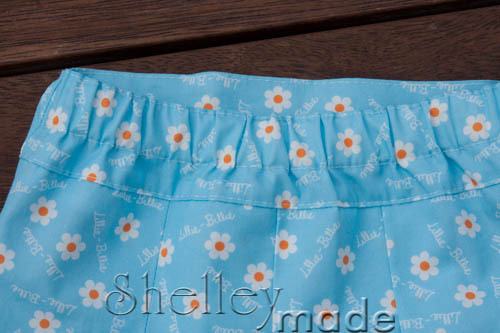 Start at the front of the waistband - sew down to the crease, keep sewing for 2-3 extra stitches past the crease. Now backstitch to reinforce, and cut your threads. Skip down the length of your elastic (mine was 3/4 inches). 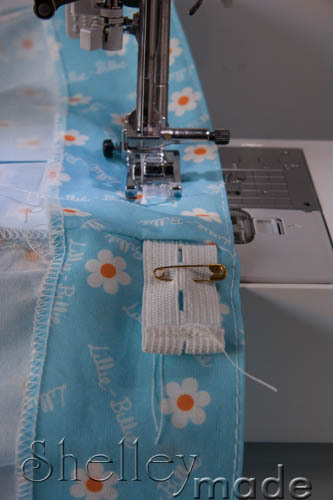 Start sewing again - all the way to the end. 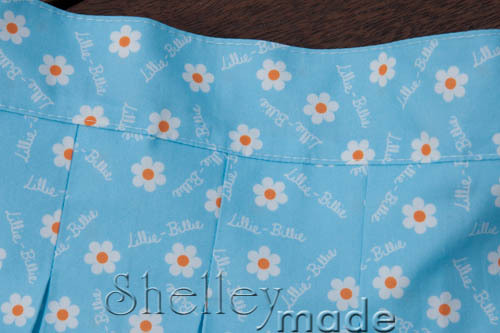 Turn your waistband the right way through, and refold at the crease. 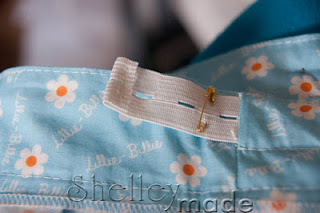 Take your elastic - and cut it about 2 inches longer than your waistband piece. It just needs to be long enough to sit nicely unstretched. 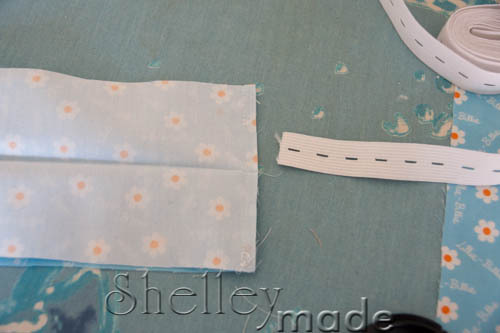 Next, take your elastic ends and turn under just a little on each end. 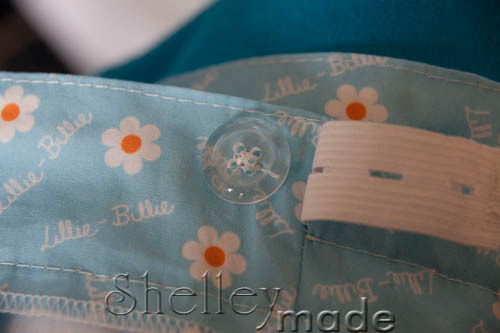 Sew over them just to neaten and so they don't unravel (as in the photo below). Take each end, and push them through the holes you made before. I use a safety pin to secure them on each end. You can thread the elastic into the casing later if you prefer - but it is so much easier to do it now while the waistband is not attached. With the casing in between. 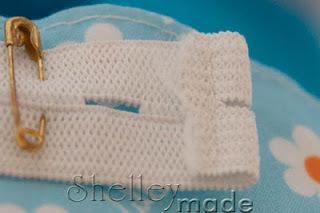 Then give the elastic a bit of a tug...push the button through once..
Any questions - feel free to ask! Love it! Finally a tut that I was looking for!! Great Job!